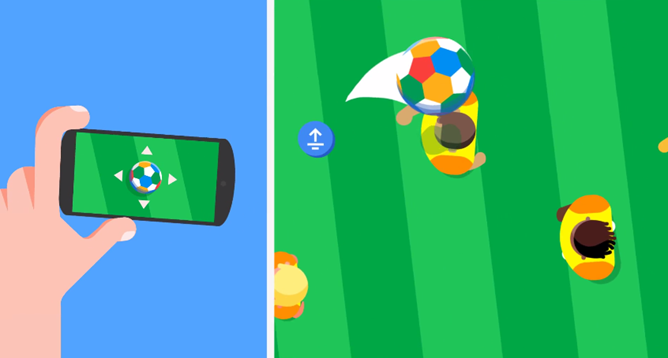 Google Chrome's Newest Game Experiment, Kick With Chrome, Makes The Cardinal Sin Of Calling It "Soccer"
Looking to kick back and kill a few minutes this afternoon / evening / morning / whatever time it is where you are? 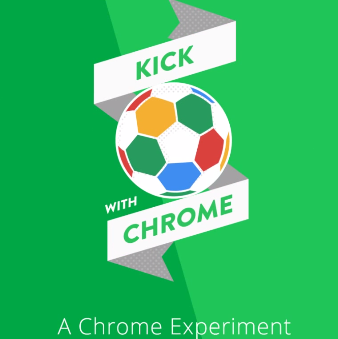 Google's got a brand-new set of football-themed mini-games out via the Kick with Chrome experiment today. The games include Infinite Dribble, Space Kick, and Shootout. Shootout is actually a multiplayer penalty-shot game, so that one could be fun with friends. Infinite Dribble is a tilt-based endless... dribbler, and Space Kick is a sort of vertical platformer.